“Cheaters never win,” says an age-old line. It’s true in life, but not in video games, especially CSGO. Speaking of which, the game has been having a problem with cheaters. It’s not a new thing; it’s been happening for quite some time now. But don’t think it’s because Valve doesn’t care. Rather, it’s because the cheaters have so good that Valve is now having trouble cracking them. Yes, this cheating problem is becoming as bad as the CSGO Skins gambling fiasco. 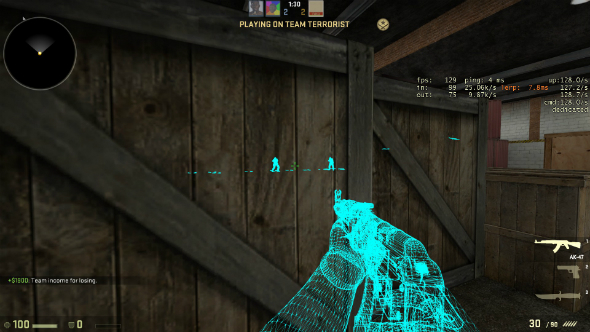 To up their cheater-catching game, Valve has decided to employ the use of machine learning. The problem with this approach, however, is that it’s going to require a lot of server power, as this particular approach will be scanning every game from the players’ perspective. “So some bad news: any hard-coded detection of spin-botting leads to an arms race with cheat developers – if they can find the edges of the heuristic you’re using to detect the cheat, the problem comes back. Instead, you’d want to take a machine-learning approach, training (and continuously retraining) a classifier that can detect the differences between cheaters and normal/highly-skilled players,” said Valve on Reddit. And despite that rather effective approach, it’s not going to be easy, just like what’s been previously said. Oh well. Looks like we’re better off focusing on CSGO skins than those cheaters. So, what do you think? Are cheaters going to go away really soon, or are they going to stay as long as CSGO skins gambling will? Tell us in the comments section below.